Novations has given their iconic Launchpad a total overhaul. Enhanced with RGB LED feedback, and velocity and pressure-sensitive pads, Launchpad Pro brings limitless expression and creativity to your music. Never hit a wrong note again! With the Scale function, simply press Launchpad Pro's Shift and Note buttons, then choose from a roster of 32 keys and modes, from major and minor, through phrygian, whole tone and more. Once selected, Launchpad Pro's 64 velocity- and pressure-sensitive pads will assign themselves contiguously to only the notes of the selected scale, removing all the rest. Launchpad Pro is turned into a deeply expressive instrument that lets you focus on the music, rather than precise finger positions. Scale mode isnt just for Ableton Live - you can use it to play virtual instruments in any other DAW, as well as your hardware synths. 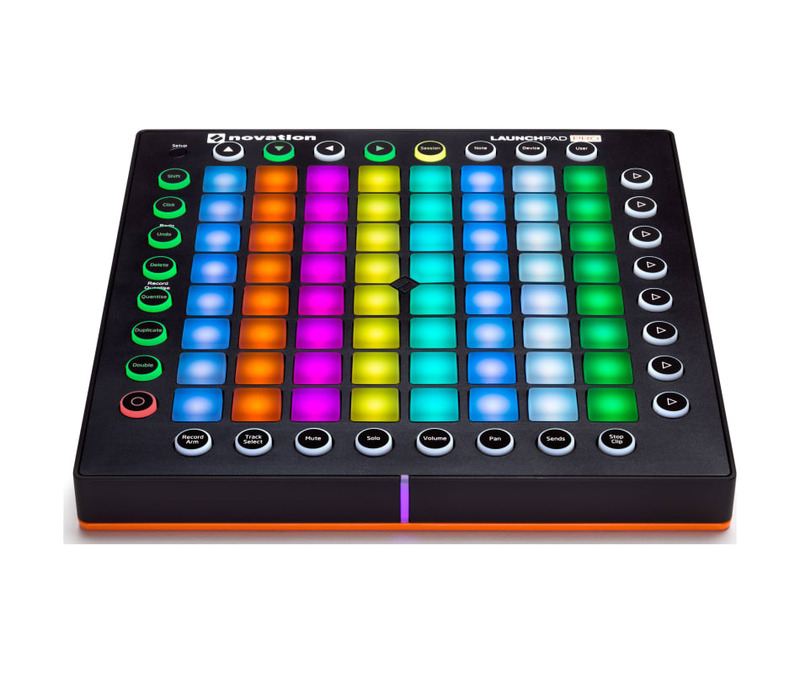 Launchpad Pro does not require connection to a computer; it can send MIDI via its 1/8th-inch output (and an included 5-pin Din adapter), so you can play external synths without a keyboard controller.